Oppo has announced the launch of its latest RX17 Neo and RX17 Pro for Europe at an event in Italy. The RC17 Neo is priced at 349 Euros (approx. Rs 29,500) and RX17 Pro comes with a price tag of 599 Euros (approx. Rs 50,000). Both the phones will be available in France, Italy, Spain and Netherlands from November 16. 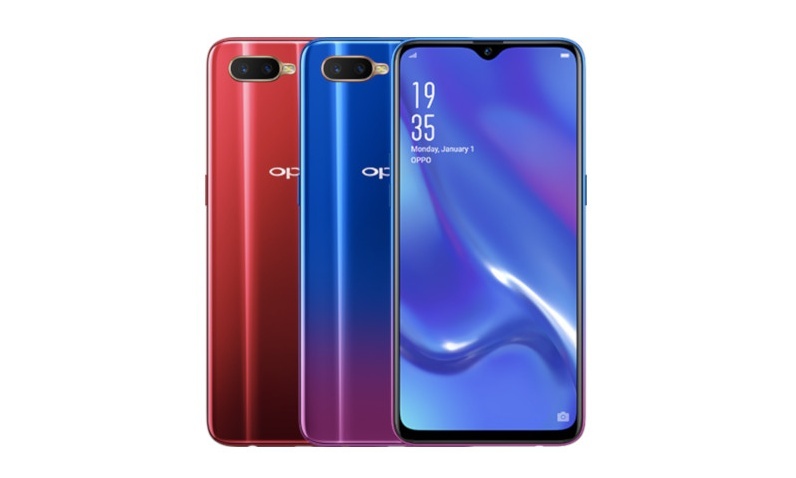 The Oppo RX17 Pro and Neo feature a 6.4-inch Full HD+ display with a screen resolution of 2280 x 1080 pixels along with Corning Gorilla Glass 6 protection. It is powered by a Qualcomm Snapdragon 710 processor along with Adreno 616 GPU. It is backed by a 6GB RAM and 128GB of internal storage, which can be further expanded up to 128GB via microSD card slot. The major highlight of this smartphone is the triple camera setup at the back. The primary camera is equipped with a 12-megapixel lens with variable aperture of f/1.5 to f/2.4 coupled with 20-megapixel sensor with f/2.6 aperture. The company has also employed a Time of Flight (TOF) 3D camera, which can scans objects and transform it to 3D images. For the front, there is a 25-megapixel shooter for selfies and video calling. The phone is equipped with a 3700mAh battery with Super VOOC charge technology that it claims can charge the phone from 0 to 49 percent in 10 minutes charge. It is equipped with a in-display fingerprint sensor and runs on Android 8.1 Oreo, which is based on ColorOS 5.2. Connectivity options include Dual 4G VoLTE, WiFi, Bluetooth 5, GPS, GLONASS, NFC, dual SIM and Type-C port. It measures 157.6 x 74.6 x 7.9mm weighs 183 grams. Coming to Oppo RX17 Neo, it is powered by a Qualcomm Snapdragon 660 chipset with Adreno 512 GPU. It is backed by a 4GB of RAM and 128GB of storage, which can be further expanded up to 256GB vica microSD card slot. For optics, the RX17 Neo is equipped with a dual-camera setup with a combination of 16-megapixel primary lens and a 2-megapixel secondary shooter. For the front, there is a 25-megapixel shooter for selfies and video calling. The phones runs on Android 8.1 Oreo and it is backed by a 3600mAh battery. There is a in-display fingerprint sensor as well.